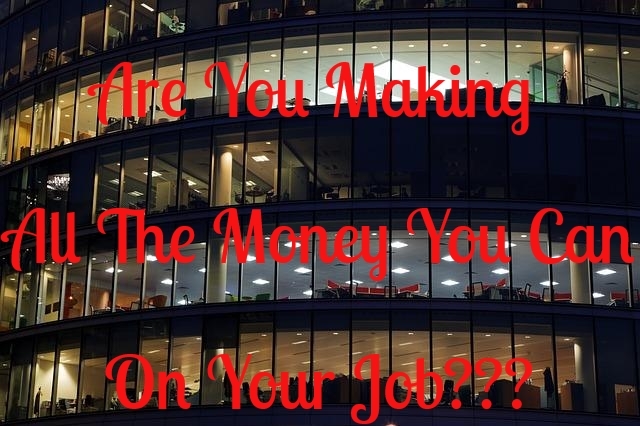 You are here: Home / Career / Are You Making All The Money You Can On Your Job? Some good advice, Kevin! Another idea… though it’s not “additional compensation” per se, many employers will match their employees’ charitable contributions. So by taking advantage of this you can ‘stretch’ your giving, so-to-speak. That’s another good one Chaz, it’s a way of “leveraging” your contributions. Though I doubt most would match on faith-based donations. It’s still worth doing, if the match is available. Solid ideas here! I missed out on my tuition reimbursement as I waited till the last minute. My fault there. It may be a little out of place, but I also suggest you take advantage of employee matching of your retirement funds if that is available. Can’t go wrong with free money from your employer! That’s another good one – the employer 401(k) match. Tuition reimbursement is a big one. And it’s not just the cost of schooling that’s being covered. It’s also that you should at least theoretically come away with a higher income.